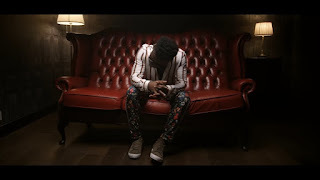 "Ghanaian highlife singer Bisa Kdei releases the official visuals to a song off his previously released “Highlife Konnect” album, titled “Fakye”. Fakye, which translates to English as “Forgive”, is a song that has Bisa Kdei apologizing to his lover for things he’s done to her, including lack of attention, lies, disrespect, etc. The song was produced by Bisa Kdei himself, and the video was directed by Scilla Owusu. Check it out below"